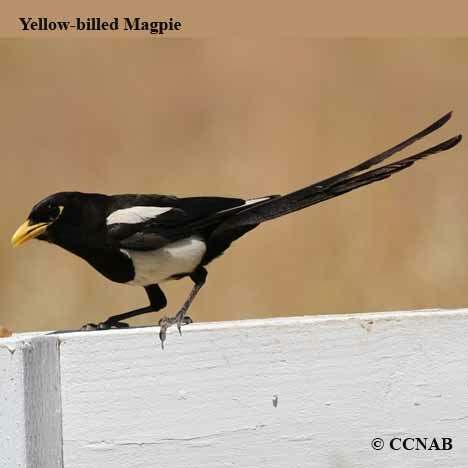 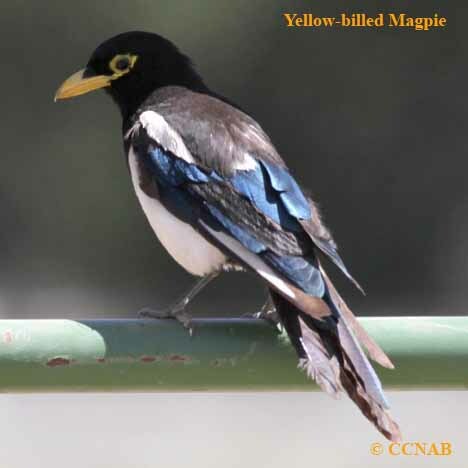 The Yellow-billed Magpie is a close species to the Black-billed Magpie. 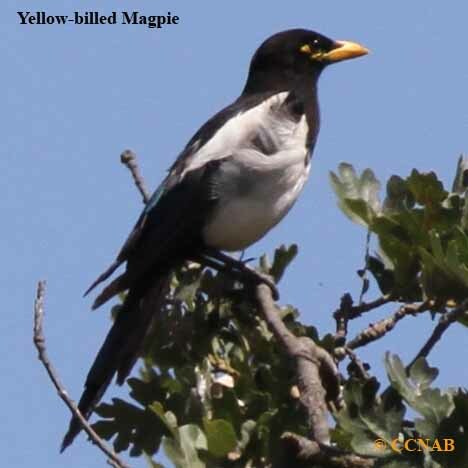 These two birds are very similar in appearance to each other, except for the different colours of their bills. 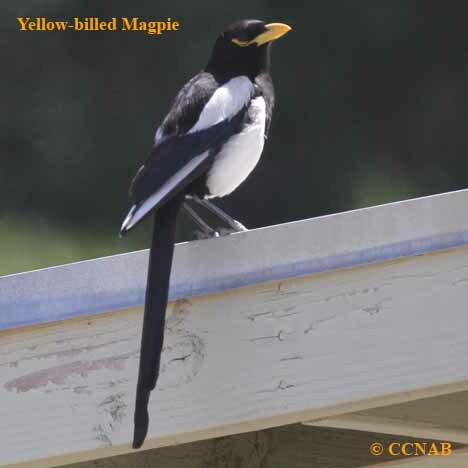 This black bird is only seen in the California agriculture regions, up to the border of Oregon. 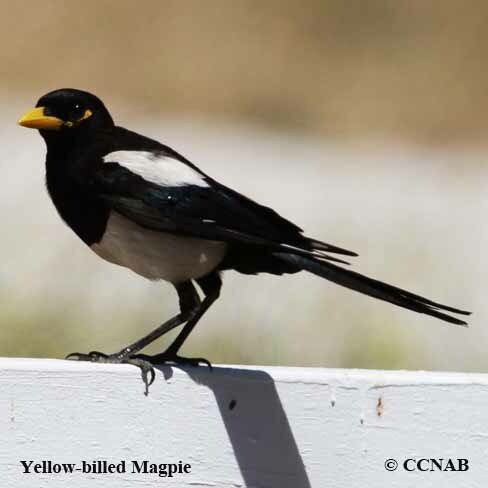 Their population has been reduced in large numbers because of the West Nile Virus. 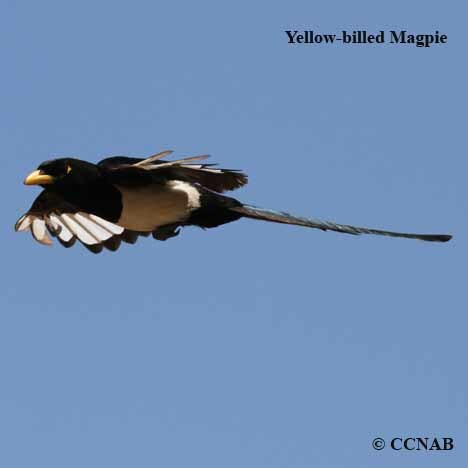 Recent years is showing stability in their overall numbers, indicating some hope for this bird.